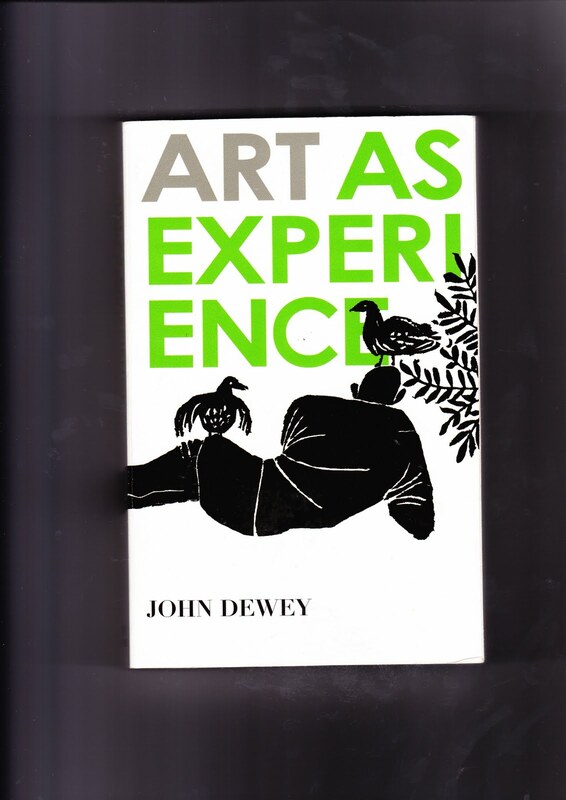 In the first and second chapters of his 1934 book Art as Experience, “The Live Creature” and “Having an Experience,” the American philosopher John Dewey begins to lay down his aesthetic theory with a primary emphasis on experience. Dewey wastes no time cutting to what he sees as a central problem with aesthetic theory. Common misconceptions hold that aesthetics and artworks are distinctly separate, and that art and daily experience are held apart. This binary way of approaching the activities and practices of art needs to be avoided to make an appeal for the primacy of experience. The aim of this paper will be to explicate Dewey’s implicit claim that letting go of the binary distinction of art as separate from everyday experience, will allow for a more invigorating approach to aesthetics that benefits our understanding of art, aesthetics, and experience. Detailing these benefits takes us through a few of Dewey’s arguments that make room for a view of art that speaks to the quality of appreciation, rather than seeking a staid text-book definition of art’s value and meaning. We will conclude with an assessment of the strength of Dewey’s position with a nod to the art making process itself. What are Dewey’s reasons offered for art’s power to change people? (A-α) Dewey’s aesthetics begins with the way that we as living creatures experience the world. When artworks are set in a museum or gallery space, they are isolated from the day to day lives of viewers. In this way, an artwork becomes cut off from its origins, its functions, and from the ways in which it was created. Refined institutional isolation creates an unnecessary distance from the artwork and its audience. Dewey’s stated task, then, is to “…restore continuity between the refined and intensified forms of experience that are works of art and everyday events…” We must be careful to note that Dewey is not suggesting that art needs to be taken out of museums, or that his is a overt critique of institutions. Instead, his position is simply to look at the ways in which we can let a museum, or gallery setting, get in our way of experiencing and understanding the artworks. It is surprising, if not radical, that instead of choosing to talk about art objects, Dewey emphasizes the experiences behind the objects, as well as the way we experience the artworks themselves. Art must be seen as a way that humans interact with the world. For Dewey, focus on the experiential takes art from being a simple object, to being a complex of interactions in the world from which it was created. We intuitively know that life, creativity, innovation, and discovery are distilled into artistic expressions, yet we need someone like Dewey to remind us of this. Incredibly, art and the experience of it (aesthetics), take on a central place within Dewey’s total philosophy. “Dewey opts to select aesthetic experience as his primary instance of meaning…” As mentioned above, there is a long standing tradition of demarcating, and partitioning off, of artistic objects into the rarified space of museums and gallery spaces. All of this begs the question (A-β) what in people is affected, and how, in Dewey’s embrace of experience? Dewey wishes to obviate the everyday demarcation of art as aloof, cold and distant, to stake a claim for the primary importance of experience. Not only does Dewey’s idea promise to bridge the gap between art and an experience, but also, by implication, he offers a means by which to put us back into contact with the ways in which experience contextualizes and enriches life, only if we are keen enough to take notice of art’s dynamic presence aesthetically. Taking aesthetics out of the stringent realm of contemplation into the world of lived experience, allows for experience to speak for itself. Dewey’s refreshing insistence on finding equilibrium, harmony and rhythm of experience’s confrontation with tension, speaks to the inherently imaginative course of artistic practice. Hence, we are put in a position to appreciate the quality of the ways in which we encounter, not only art, but life itself. But what kind experience is worth taking notice of?—is it just any experience? Although, all of life is composed of a continuous stream experiential comings and goings, Dewey chooses to emphasize what he calls a “consummatory”  experience, whereby a given activity is seen as whole, rather than fragmented parts that consist of interruptions, or even ambivalence. Emphasis is given to a complete event that holds together without a distracted falling apart, e.g. writing an essay, carving a sculpture, printing a complicated broadsheet, enjoying a concert, &c. Generally speaking, we tend to call these events an experience, instead of just experiencing them. This subtle point is what Dewey wishes us to notice as aesthetical, and again this has to do with the quality of the experiential. Here, we could ask about (A-γ) the benefits and detriments of art for the larger common good, found in Dewey’s aesthetics. Dewey writes of taking notice of experience with a recognition that life is full of deeply felt connections with our environment, made evident in our earnest (and aesthetic) efforts to overcome resistance, “Inner harmony is attained only when, by some means, terms are made with the environment.” When the past is made to reawaken the resonant possibility of the present moment, the future is no longer a mundane continuation of the past—art takes us to these epiphanies. Past, present, and future coalesce into a recognized whole. Attuned experience shows us that the past harmonizes with the future in the present moment. A way of moving forward that favors the possibility of what can be, rather than what should be, reawakens our minds to an affirmation of life. Such experiences lead us to commune with the artistic and the aesthetics of life as exemplary examples. Detriment would have to be found in the negative outcome of the above ideas, for example, when we continue to reinforce the status-quo of art as a vaunted intellectual practice. Experience too, is obscured by the contemporary infatuation with multi-tasking. Doing too many things at once quickly reduces experience to hastily drawn out conclusions with distracted imprecise attention. This is what Dewey calls “anesthetic,” when we take shallow and cursory notice of events and conclusions, “things happen, but they are neither definitely included nor decisively excluded; we drift.” So much of life is fettered away in this anesthetic mode, including art appreciation. Often, if the art doesn’t offer up its message fast enough, we lose patience. Sometimes art’s rewards are measured in years, instead of summoning instantaneous results. Now we ask (A-δ) which (benefit or detriment) is greater? The positive benefits of claiming a place in aesthetics and art, by way of primary experience, sheds light on all three of these components. Recall that Dewey wanted, not only to invigorate an investigation into the ways experience informs art-making, he also wanted to blur the delineation between art and aesthetics. According to Dewey, the artistic and everyday experience contains patterns of doing and undergoing. For instance, it takes a patient intelligence to know that the intense effort of carving wood requires a mainstay of tenacious strength to overcome the boundaries of hardness, combined with maintaining the sharpness of one’s tools, to create a desired sculptural effect. As much as the artist has to undergo the painstaking control of a particular medium to find expression in the inanimate resistance of base matter, so too must the philosopher (writing about aesthetics) find the right words, methods, and strategies to appreciate creative accomplishments. Founding art intermixed with aesthetics on the grounds of experience by no means excludes the acts of appreciation and perception it takes to observe these qualities in tandem, as they are all working in rhythmic synchronicity with each other. As an artist, I wholeheartedly agree with Dewey’s position, and here are a few of the reasons why. The doing and undergoing of the art making process sounds much simpler than it actually is, but we needn’t fault Dewey for putting it into simple words. Afterall, doing really is about making, it is about the process that lies beyond words. An artist has a multitude of ideas, but the proof of those ideas is only made possible by enacting those ideas into a physical creation, never mind the planning that has to take place to get to work in the first place. The artist has to source his materials while taking into account their cost, and whether or not they are in his budget, so even this little detail of affordability is part of the experience of the project. The idea will then have to be modified if the artist cannot afford to put the idea into actuality, then, and only then, will the artist have to undergo the process of making, fabricating, creating his idea. This undergoing does not promise a successful outcome. The creative energy he puts forth depends on any number of factors that determine the artwork’s overall effect—time, patience, endurance, intelligence, &c., all play a part. This is just the beginning. The artist will then have to market and promote the work before it even gets to be seen by a wider audience, if it even makes it to that stage. And even then, there is no guarantee that it will be received with any acclaim. Dewey’s aesthetics enables these seemingly insignificant elements to be a part of the whole aesthetic experience, i.e. the aesthetics of getting art from the drawing board to the gallery to be considered by an audience becomes a viable way to understand art. An appeal to experience itself is a fantastic way into any art. We just have to be willing to let experience speak for itself. The strength of Dewey’s argument resides in its ability to apply to the wide range of creative expressions, not only as finished products, but also as a way to become more creative with our aesthetic appreciation. There are the conditions art must undergo, and if we are to take Dewey’s philosophy seriously, we’ll become attune to the qualities and nuances of key aspects that might remain unnoticed, or ignored. Yes, there are an infinite amount of qualities to be noticed about art, and the art making experience, yet if we are intent on adhering to exhausted old fashioned modes of thinking, we cannot move to alternative connections and unthought-of concepts. Dewey’s philosophy allows for a new range of aesthetic experiences, no longer confined to worn-out questions of beauty and tradition. When the struggle of the past is made to be harmonious by the present wisdom of life’s potential, then the future becomes luminous. Art offers us the strength to transform. John Dewey’s experiential aesthetics brings us closer to this brilliant potentiality. Dewey, John, Art As Experience, New York: NY: Perigree, 2005, p. 2. Alexander, Thomas M. John Dewey’s Theory of Art, Experience and Nature: The Horizons of Feeling, Albany, NY: State University of New York press, 1987, p. 186. Dewey, Art as Experience, p. 37. Dewey, Art as Experience, p. 16. Dewey, Art as Experience, p. 41. Dewey, Art as Experience, pp. 45-7. Dewey, Art as Experience, p. 50. Alexander, Thomas M. John Dewey’s Theory of Art, Experience, and Nature: Horizons of Feeling. Albany, NY: State University of New York Press, 1987. Dewey, John. Art as Experience. New York, NY: Perigree, 2005. Hildebrand, David. Dewey: A Beginner’s Guide. Oxford, UK: Oneworld Publications, 2008.